The facility could not meet new safety requirements. A new center is slated to open next year in Hillsboro. 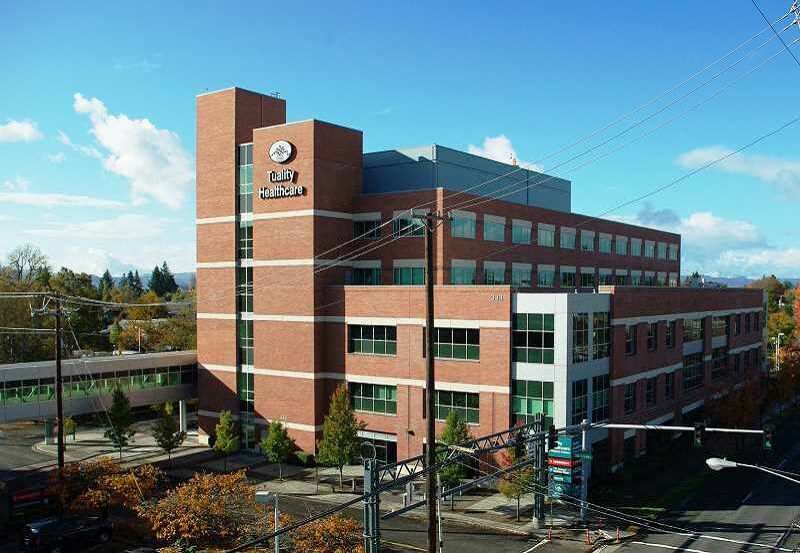 In what its president described as an "unanticipated" change in its plans, Tuality Healthcare announced Monday, March 19, that it will close down its Center for Geriatric Psychiatry in Forest Grove by this Friday. Lori James-Nielsen, who provided the Forest Grove City Council with an update Monday evening on Tuality's activities in the community, said the nonprofit group had already been working toward moving services for older adults with dementia and mental illness to a newer space in Hillsboro, as well as addressing safety concerns at its Forest Grove facility. But, facing a 60-day deadline to either finish the upgrades or dramatically increase its staffing, it decided to "temporarily suspend" services and close the facility now instead of gradually transitioning services to Hillsboro. "New requirements from the (Centers for Medicare & Medicaid Services) necessitate cost-prohibitive investment in the 1963 facility, and as a result, we are opting to expedite a previously developed plan to launch a new geriatric psychiatry unit within Tuality Community Hospital on our Hillsboro campus," Tuality Healthcare announced in a statement released Monday evening, following James-Nielsen's presentation. James-Nielsen said the requirements are intended to create "a ligature risk-free environment," in order to prevent self-harm by residents. Architectural features — including those as simple as door handles and ceiling tiles — that patients could potentially use to hang themselves must be removed or replaced under the requirements, she explained. "We had started upgrading the current site in Forest Grove to meet those requirements but had not completed them," James-Nielsen said. When officials from the accrediting commission for the Centers for Medicare & Medicaid Services visited the facility three weeks ago, James-Nielsen said, they saw the upgrades were not finished and gave Tuality two options: finish them within 60 days, or increase staffing levels to one-to-one between caregivers and patients considered at risk of self-harm. "Evaluating all of those options really forced us to make a difficult decision to temporarily suspend the service so that we could build on a new campus a safe environment that can meet the expectations of the regulatory requirements but also serve these patients in a better facility," James-Nielsen said. As a result of the closure, 34 full-time positions will be eliminated in Forest Grove. Some of those employees could be moved to other positions at Tuality, and both the Unity Center for Behavioral Health and Providence Milwaukie Hospital have offered to prioritize displaced workers from the Tuality facility in hiring, according to the company. A new 22-bed "advanced treatment facility" — about the same capacity as the closing Forest Grove facility, which James-Nielsen said currently has 21 beds — is set to open at Tuality Community Hospital in Hillsboro in mid-2019. Oregon Health & Science University hospital is a partner in that new geriatric psychiatry facility. "We had began exploring with OHSU the potential to move that (geriatric-psychiatric) service onto the Hillsboro campus so that we could expand the clinical offerings to that patient population, in particular with anesthesia and neurology being available," James-Nielsen said, prior to the decision to close the Forest Grove facility immediately. The last patients from the 21-bed facility will be discharged Friday, she said. Patients at the Tuality Center for Geriatric Psychiatry come from across Oregon, according to James-Nielsen. James-Nielsen stressed that Tuality "remains unwavering" in serving the Forest Grove community. Tuality also operates a small hospital in Forest Grove, as well as rehabilitation services. Editor's note: A previous version of this story misspelled the name of the federal agency that issued the new safety requirements. It is called the Centers for Medicare & Medicaid Services. The story has been updated. It also now clarifies Tuality is a nonprofit organization.